Asbestos duct work is certainly not uncommon in older homes, but what about older commercial buildings? Is it more common to find asbestos in heating and air conditioning ducts at work or at home? That’s precisely what we’re going to talk about today. Is Asbestos Duct Work Found More Frequently in Commercial or Residential Buildings? Let’s begin by talking briefly about asbestos duct work. What is it and more importantly, why is it? Cement Asbestos Transite Pipe – a type of pipe was used in air conditioning and heating ducts. Many times this type of pipe was set into concrete slabs, but in some cases, it was also used throughout the building. Asbestos Pipe Insulation – This is a type of insulating material that looks corrugated in appearance and was most often used around joints in pipes. Asbestos Paper Duct Insulation – This is an asbestos-containing paper that wrapped around and insulated heating ducts. Asbestos Duct Dampeners – This is an asbestos-containing woven material that was used to create flexible joins between heating ducts or between an air handler and duct work. No matter what type of asbestos-containing material you are referencing, however, the fact remains that it needs to be addressed quickly and professionally to preserve your family’s health. Where are You at Most Risk for Asbestos Duct Work Exposure? Because asbestos was once touted for its flame-retardant properties and durability, it was used commonly in both commercial and residential settings. Most often, however, asbestos-containing duct work is found in commercial buildings. Why? It all comes down to cost. Asbestos is a multi-purpose element. It provides fire retardant properties, it’s cheap, it’s durable, it’s flexible, and it’s insulating. This culmination of desirable traits is not found too often in any construction material, so for commercial building owners, it was a Godsend. It wasn’t until years later that commercial builders discovered the nightmare that was Mesothelioma. 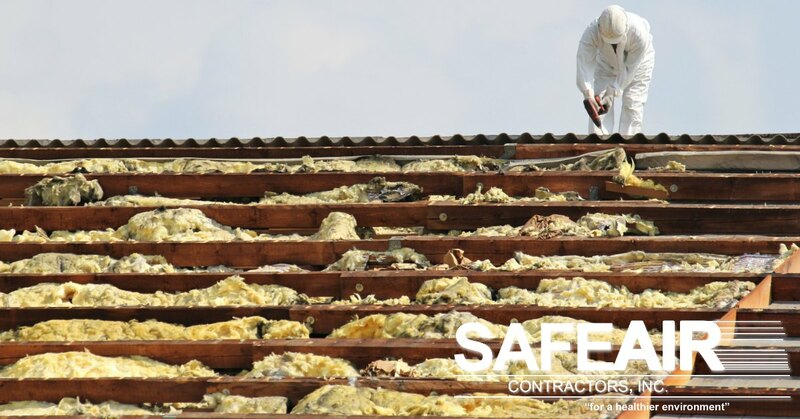 Whether you work in a building or own a building with asbestos duct work, your priority should always be on safety. Due to the nature of HVAC duct work, these asbestos-contaminated products are consistently put under strain which can contribute to their being compromised. 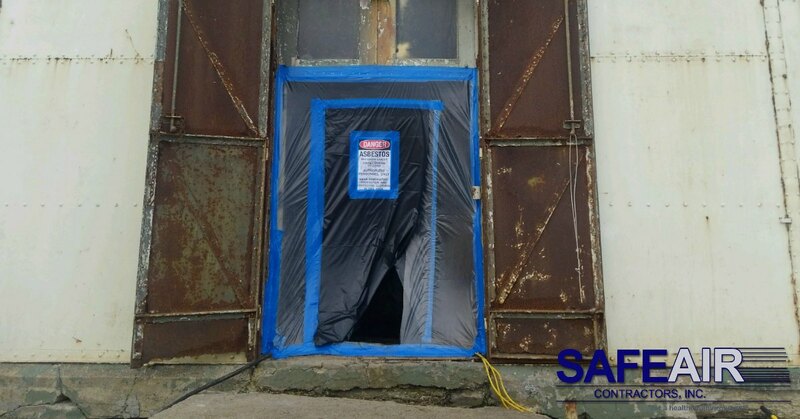 For this reason, it is recommended that you contact an asbestos abatement company like us here at SafeAir, to remove these dangerous materials before they become a more serious threat to your health. If you own a commercial building in Pennsylvania or Ohio with asbestos duct work, call SafeAir today at 440-639-1191 to get started on duct work replacement.